I’m sorry that I have been unable to write any posts about my lunchtime bike rides lately. 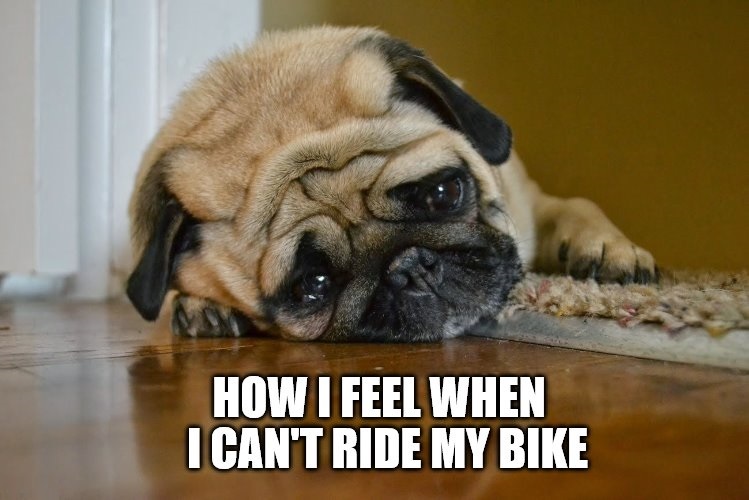 It is because I have not been able to ride. In fact, I have not even been at work. The reason is that I was recently diagnosed with cancer, and I’m getting ready to have surgery. During a routine physical a few months ago, my blood work indicated an abnormality. So my primary care physician referred me to a couple of different specialists, who subsequently referred me to even more doctors. Along the way I’ve had had numerous physical examinations, multiple blood tests and lab work, biopsies, some x-rays and an MRI. Based on the information we currently have, it appears to be an aggressive form of prostate cancer. But the doctors think that it was detected fairly early, and are hopeful. So after looking into and discussing all of the treatment options, we decided the best course of action for me would be surgery. If that goes well, there will be no need for additional follow-up treatment. At that point, we would just monitor things carefully for the next several years. If surgery indicates anything different than what we currently think, or does not go as well as we expect it to, additional options would have to be reassessed at that time. But I still have much for which to be thankful, despite the cancer. I am thankful that it is a type of cancer for which there are treatment options available. I am thankful that I have good insurance and the financial means to obtain the treatment I will need. And I am thankful that my job will allow me the time off that I need in order to do what needs to be done. But I am most thankful for the people in my life who have and will be supporting me as I go through this. God has blessed me with family and friends who I care about and who care about me. Some of those people I am able to see or talk with every day, while others I am in touch with less frequently. But all are important to me in one way or another. I am asking now for your prayers. Pray for my family. Pray that my wife and daughters will be drawn closer to and comforted by our heavenly Father. Pray for my surgeons, and the other doctors and the nurses who will be involved in my medical care, that God will guide them in their thoughts and actions in treating and caring for me. And pray for me. Pray that God will not only heal me physically, but that He will teach me through this experience and strengthen my faith. And I am asking each of you to pray whether you believe in God or not. Because even if you don’t believe in Him, He is still there, and He will hear you. God bless, and I hope to be back out riding around the city very soon.